Liwonde Safari Camp is located in Liwonde National Park, which is located conveniently between Blantyre and Lake Malawi, only 60 km from Zomba Plateau. 1. When driving up from Blantyre via the Zomba road (M3), you need to turn right into the road which is officially called the S131 in Liwonde town. 3. There will be a Petroda filling station at this turn off. 4. 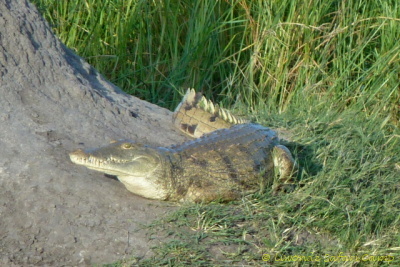 At the next intersection, turn right (again follow Liwonde National Park and Malawi Fertilizer Company signs). 6. 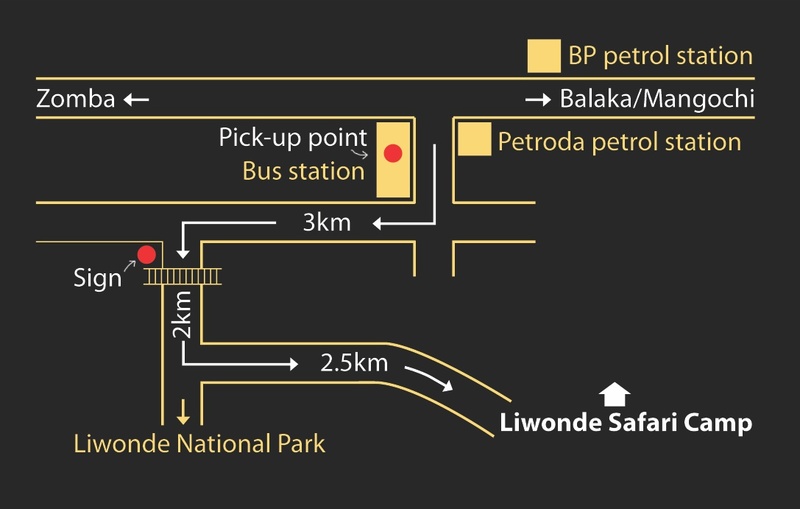 You now go straight for 2 km, but before reaching the park entry gate, you will see a sign for Liwonde Safari Camp, pointing you to the turn off to the left. 7. 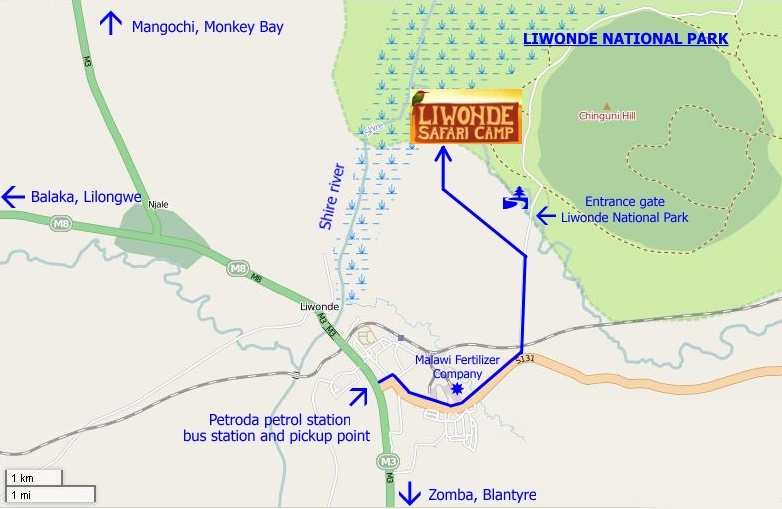 Just follow this road for another few kilometers, until you reach the Liwonde Safari Camp. 1. From Lilongwe take the road through Balaka (M8) and cross the bridge across the Shire river to arrive to Liwonde Town. Now you need to turn left into the road which is officially called the S131 in Liwonde town. 3. From the Petroda filling station follow the directions from step 4 described above. Mini-bus taxis from Blantyre and Limbe provide regular service to Liwonde, be aware that the larger public transport busses are not known for their speediness. When travelling by public transport, please call us for a free pick-up from town at the Petroda filling station next to the bus stop. Alternatively a bicycle taxi from town to the camp, costs only about MK 600 and provides an unique experience of Malawi's countryside.